The Housing Chronicles Blog: Happy Friday the 13th! Happy Friday the 13th from MetroIntelligence! Have you ever wondered about the history of Friday the 13th and the superstitions attached to it? According to folklorists, there is no written evidence for a “Friday the 13th” superstition before the 19th century. The earliest known documented reference in English occurs in Henry Sutherland Edwards‘ 1869 biography of Gioachino Rossini, who died on a Friday 13th. 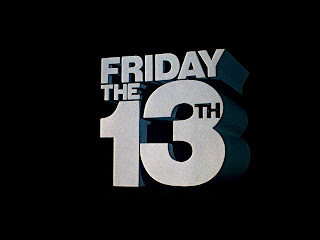 Several theories have been proposed about the origin of the Friday the 13th superstition. One theory states that it is a modern amalgamation of two older superstitions: that thirteen is an unlucky number and that Friday is an unlucky day. In numerology, the number twelve is considered the number of completeness, as reflected in the twelve months of the year, twelve hours of the clock, twelve gods of Olympus, twelve tribes of Israel, twelve Apostles of Jesus, the 12 successors of Muhammad in Shia Islam, etc., whereas the number thirteen was considered irregular, transgressing this completeness. There is also a superstition, thought by some to derive from the Last Supper or a Norse myth, that having thirteen people seated at a table will result in the death of one of the diners. Friday has been considered an unlucky day at least since the 14th century’s The Canterbury Tales,and many other professions have regarded Friday as an unlucky day to undertake journeys, begin new projects or deploy releases in production. Black Friday has been associated with stock market crashes and other disasters since the 1800s. One author, noting that references are all but nonexistent before 1907 but frequently seen thereafter, has argued that its popularity derives from the publication that year of Thomas W. Lawson‘s popular novel Friday, the Thirteenth, in which an unscrupulous broker takes advantage of the superstition to create a Wall Street panic on a Friday the 13th. Records of the superstition are rarely found before the 20th century, when it became extremely common. The connection between the Friday the 13th superstition and the Knights Templar was popularized in the 2003 novel The Da Vinci Code and in the 1989 work “Born in Blood: The Lost Secrets of Freemasonry“. On Friday, 13 October 1307, hundreds of the Knights Templar were arrested in France, an action apparently motivated financially and undertaken by the efficient royal bureaucracy to increase the prestige of the crown. Philip IV was the force behind this ruthless move, but it has also tarnished the historical reputation of Clement V. From the very day of Clement V’s coronation, the king falsely charged the Templars with heresy, immorality and abuses, and the scruples of the Pope were compromised by a growing sense that the burgeoning French State might not wait for the Church, but would proceed independently. However, experts agree that this is a relatively recent correlation, and most likely a modern-day invention.